Bake a white cake mix. Rinse and strain fresh blueberries (keep juice). a little vanilla and the juice of the blueberries. 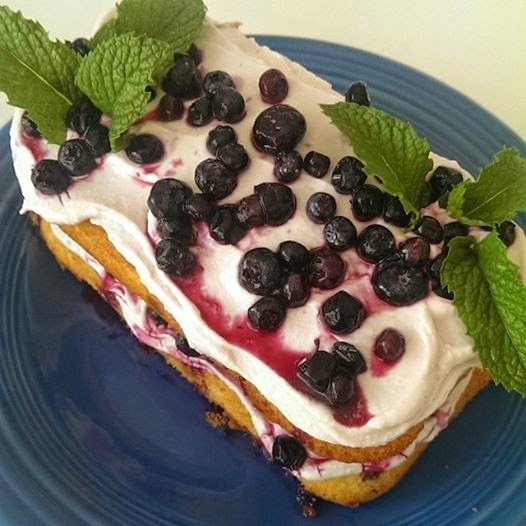 Spread creamy mixture topped with the blueberries between the cake layers and on top. It's so good this time of year. Wow... yummy! It must be so delicious! Oh YUM!!! That looks SO good!! !